Has passed all of the required tests and meets the experience requirements of 225 working days for accreditation and all continuing education requirements are current. Has met the experience requirements of Flat Racing Accreditation Level III. In addition, has worked at least 50 racing days as a Steward/Judge of a specific breed during the past three years and all continuing education requirements are current. 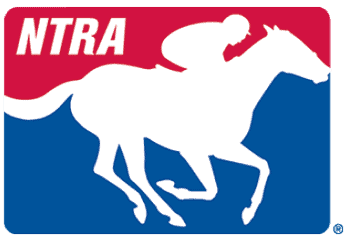 Has met the experience requirements of Flat Racing Accreditation Level II. In addition, has at least five years experience and 200 racing days as a Steward/Judge of a specific breed and all continuing education requirements are current. Has passed all of the required tests and meets the experience requirements of 225 working days and all continuing education requirements are current. Has met the experience requirements of Harness Racing Accreditation Level III. In addition has worked at least 50 racing days as a Judge during the past three years and all continuing education requirements are current. Has met the experience requirements of Harness Racing Accreditation Level III. In addition has at least five years experience and 200 racing days as Accredited Judge and all continuing education requirements are current. Has passed all of the required exams, observed for at least three meets in Stewards' Stand and all continuing educational requirements are current. Has met the experience requirements of NSA Accreditation Level III. In addition, has worked a minimum of 3 NSA race meets as a Steward and all continuing education requirements are current. Has met the experience requirements of NSA Accreditation Level III. In additional, has at least three years of experience, has worked a total of 12 racing days as a Steward and all Continuing education requirements are current.